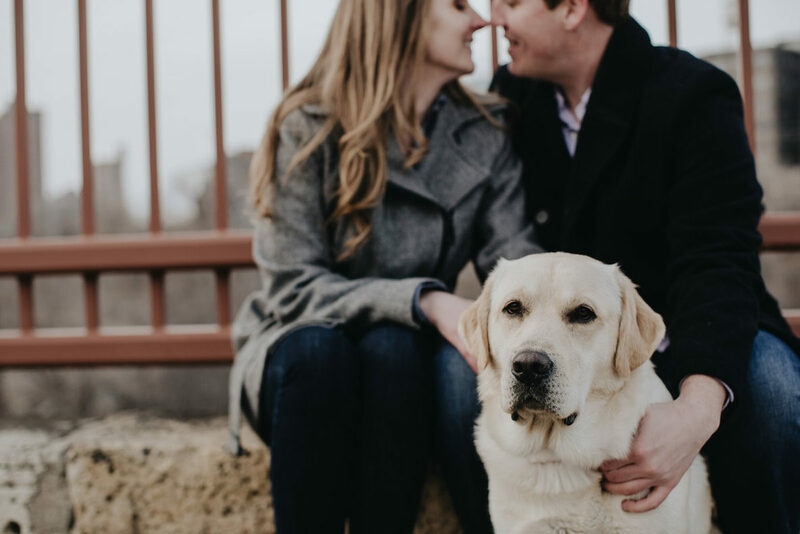 Our engagement session with Erin and Jon was quite the party. In addition to the usual foursome, we were lucky enough to have Calvin, their one-year-old yellow Lab puppy, and his official wrangler for the day, a friend of Erin and Jon who kindly agreed to help despite the fact that Calvin is strong enough to to pull anyone’s arm off. Luckily, we didn’t run into any squirrels and Cal really is calm for a Labrador puppy, so everyone kept their arms and we even got a couple pictures of everyone together. 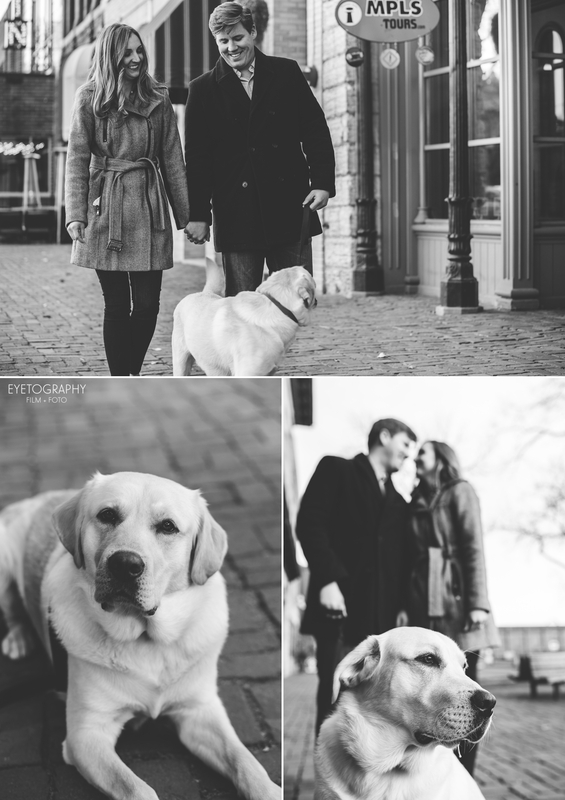 We walked St. Anthony Main and talked about their wedding plans – less than four months to go! – and we are especially excited to see and share pictures of their flowers. They’re going to be an audacious DIY project and even though those are extra work, we love to see a couple’s own work and personality in their DIY’s and I know that the guests appreciate it as well! Erin and Jon, thank you for a great evening and we can’t wait until your wedding day!